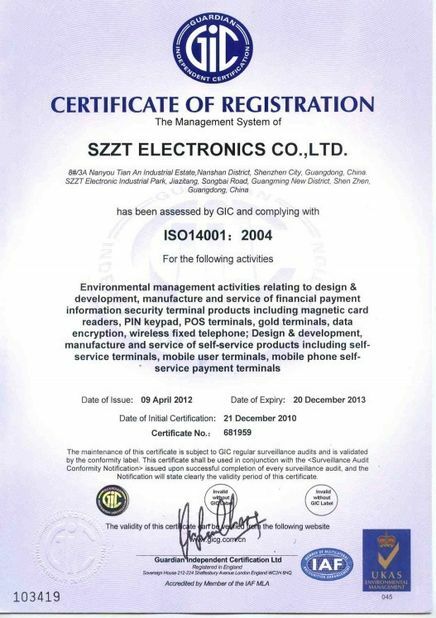 SZZT got our 2011 Partnership Adward. Thank you so much for SZZT positive support for IT blueprint project of Bank of China, the Kiosks providing let us offer better services for our customers. 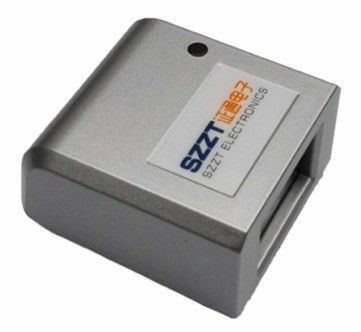 ZT661 series barcode-scanning module allows to quickly scan almost all kinds of barcodes (including 1D/2D and direct part marking) for bulk scanning. 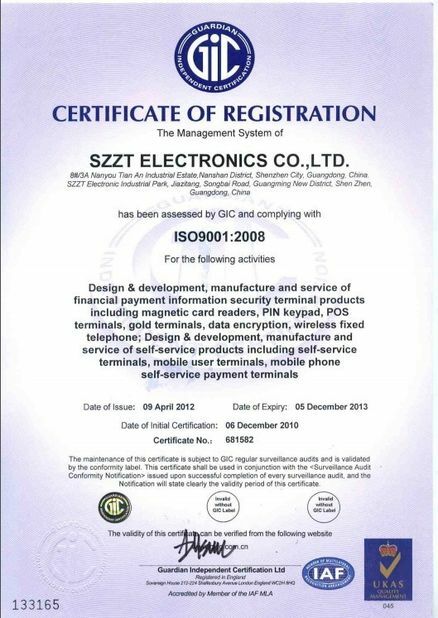 No matter what kinds of barcode, ZT661 series products can scan them quickly and accurately, whether the bar code is printed on paper, engraved on product, or even displayed on mobile phone screen. ZT661 series features compact size and can be conveniently used in any environments. Banking self-service terminals, medical examination terminals, inspection report printing terminals, cinema self-service ticket terminals, self-access item terminals, medical information query terminals, self-service vending machines, parking lot management terminals, tax bill inquiry terminal and library self-lending terminals. 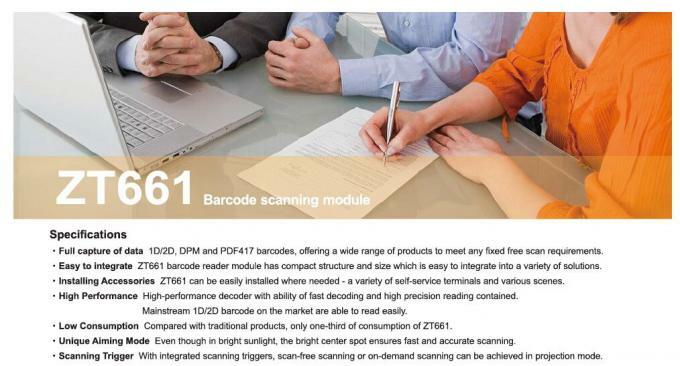 1D/2D, DPM and PDF417 barcodes, offering a wide range of products to meet any fixed free scan requirements. Easy to integrate ZT661 barcode reader module has compact structure and size which is easy to integrate into a variety of solutions. Installing Accessories ZT661 can be easily installed where needed - a variety of self-service terminals and various scenes. High Performance High-performance decoder with ability of fast decoding and high precision reading contained. Mainstream 1D/2D barcode on the market are able to read easily. Low Consumption Compared with traditional products, only one-third of consumption of ZT661. Unique Aiming Mode Even though in bright sunlight, the bright center spot ensures fast and accurate scanning. Scanning Trigger With integrated scanning triggers, scan-free scanning or on-demand scanning can be achieved in projection mode.